If you are in search of a Home Respiratory Services Company for your Patients you will find everything you are looking for with Medi-Rents & Sales! The Respiratory professionals at Medi-Rents and Sales will deliver the home medical equipment, set it up and train your patient on how to properly use the equipment. We will provide the patient with a plan of care on each piece of equipment that is in line with your written orders. The patient will receive a follow-up phone call within five days to ensure that they understand the equipment and to answer any questions that they may have. We are available 24 hours a day to answer any questions at 800-540-7252. Fast Delivery of Respiratory Equipment-Same Day delivery, usually within 3 hours. If you are in search of a Sleep Apnea Services Company for your Patients you will find everything you are looking for with Medi-Rents & Sales! We will provide the patient with a plan of care for the Cpap or BiPap machine that is in line with your written orders. Compliance Reports can be downloaded anytime via modem. The patient will receive a follow-up phone call within five days to ensure that they understand the equipment and to answer any questions that they may have. Fast Delivery of Sleep Apnea Equipment -Same Day delivery, usually within 3 hours. The patient knows they must use the device for 4 hours a night on 70% of the nights for 30 consecutive days. The Respiratory department will download the compliance report 45 days after the initial setup date. The respiratory department will fax or email the compliance report to the physician. If the patient is non-compliant someone from the respiratory department will call the patient and inform them they are not using the equipment per the Rx and encourage to do so. Another download will be scheduled for 2 weeks. If the patient is non-compliant after 2 week repeat download, a Respiratory representative will notify the physician. The Respiratory department will download the compliance report again six months after the 45 day download and every six months thereafter. Re-supply: You will receive a call when it is time to reorder your supplies. Medi-Rents & Sales Enteral Nutrition Program can provide your patients with the tube feeding formulas, feeding pumps, and supplies. At Medi-Rents & Sales our Enteral Nutrition team will go to your patient’s home, setup and instruct them on how to properly use and clean the equipment and supplies. All equipment and supplies will be delivered on the day of setup. The patient has the option of having a Medi-Rents & Sales technician or FedEx deliver their future reorders. It’s up to them!! Medi-Rents & Sales, Inc. is largest privately owned home ventilator company in the nation. We have grown the program on two words “TRAINING” & “SERVICE” without the proper training and service we wouldn’t have been able to grow our ventilator patient census to over 130 patients. The professional staff of licensed Pharmacists, Respiratory Therapists, and Nurses at Medi-Rents & Sales take exceptional pride in the care and services they offer. This, coupled with our extensive inventory of home medical equipment and supplies, results in the finest professional care for Medi-Rents & Sales’ patients. A Respiratory Therapist is available 24 hours a day at 800-540-7252. Complete and continuing training for caregivers and nursing agencies, which includes both a hands-on test and written exam to ensure our patients’ safety. One to two times per month visits to our ventilator patients and more frequently as needed. LTV 950, which at 13 pounds, features pressure control and support, NPPV, adjustable flow-triggering, apnea backup model, BiPAP and CPAP, and Lithium ion six-hour batteries. LTV 950 weighs less than most comparably equipped vents, allowing for maximum mobility. LTV 1150, at 14.5 pounds, can be used on a stand, in a backpack or a custom carrier. The device features volume and pressure control, pressure support and spontaneous, SIMV/ CPAP and non-invasive. The 1150 offers easy, secure solutions for travel. The SprintPack Lithium Ion Power System provides up to five hours of battery power, and the internal battery for emergency backup provides extra security. 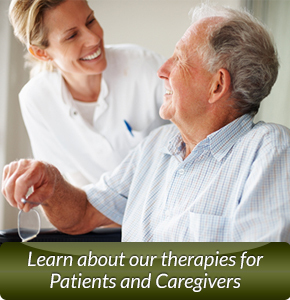 We provide complete training for caregivers and nursing agencies. We will also train new nurses or caregivers who come to the patient’s home at a later date. All trainees are administered a hands-on test and a written exam, to ensure the safety of our patients. We visit our ventilator patients twice a month, and as needed. Delivery, setup and patient instruction are free of charge. We’re available 24 hours a day: Call 1-800-540-7252. Medicare, Medicaid, Blue Cross/Blue Shield, managed care programs and other third-party payers are prequalified for direct payment. MasterCard® and Visa® are accepted, and payment plans are available. We work directly with physicians and hospital discharge planners to ensure a smooth transition from hospital to home. Our staff assesses patients’ needs, and monitors their conditions to ensure that care is timely and appropriate. Delivery, setup and patient education are free. Staff professionals can meet with referral personnel or with patients to address concerns. Medi-Rents & Sales is a provider of catheters and urological supplies that are shipped directly to your home by delivery staff or UPS, often for little or no out-of-pocket costs (although co-payment/deductibles may apply). Get what your health care professional prescribes in the privacy of your own home. We consider our customers part of our family. You need your supplies immediately after your doctor orders them, which is why you should call Medi-Rents & Sales for same or next day delivery. It starts with one phone call. We work with your physician to handle the paperwork, Medicare, Medicaid and private insurance verifications. You pay no shipping and supplies are often delivered within 24 hours. You don’t have to deal with insurance issues; that’s our job, and we do it free of charge.